2. 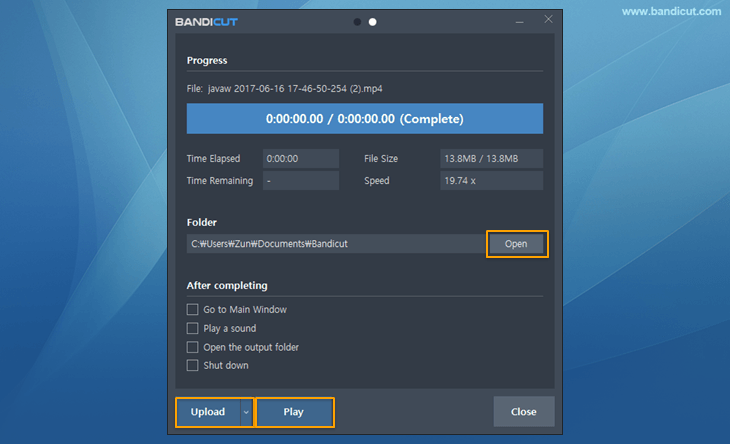 Start Bandicut and click the 'Join' button. 3. 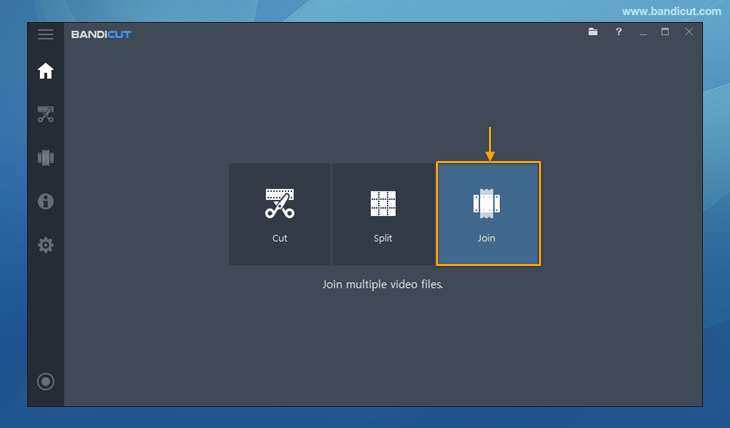 Select multiple video files you want to join, and click the 'Open' button. 4. 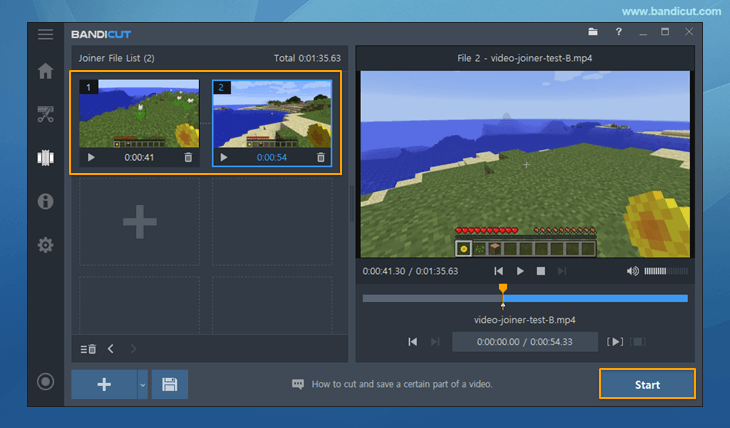 Check/Change the video sequence, and click the 'Start' button. 5. Click the 'Start' button to initiate the video joining. 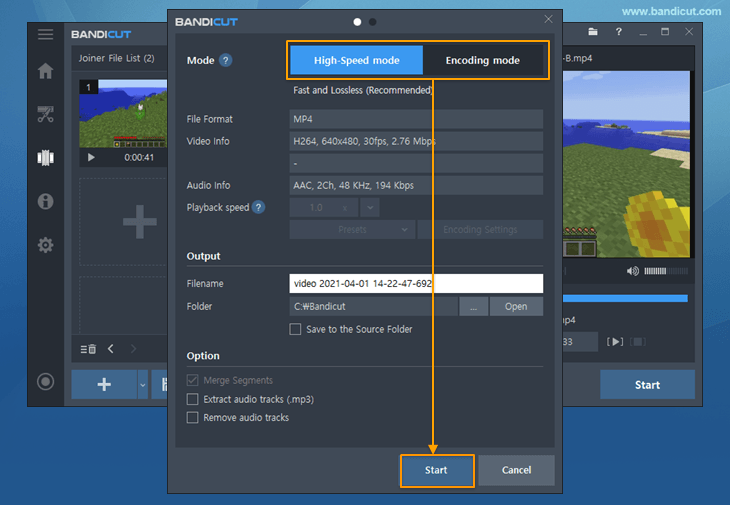 - You can use High-speed mode for Joiner only when all formats are exactly the same. 6. 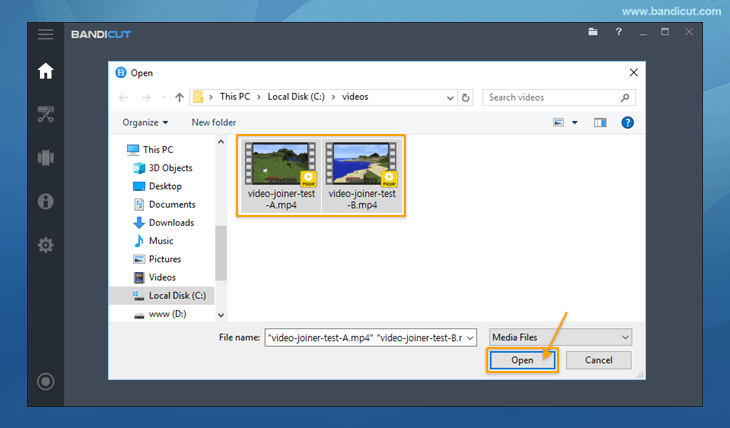 Click the 'Open' button to check the joined videos.